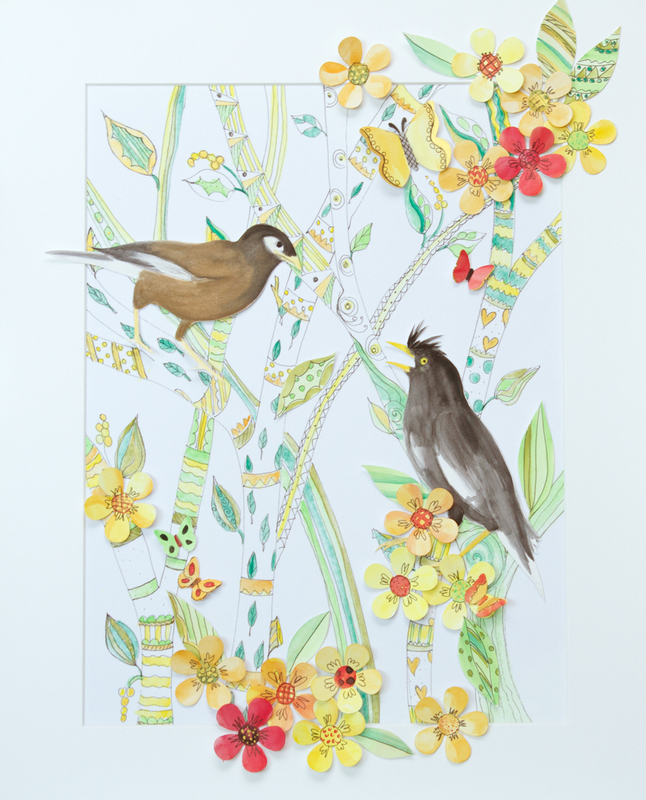 This is mixed media art composed of paper punches, cut-outs and hand-drawn details. It was a commisioned piece and it is now living in Thailand. The owner has pet Myna birds that she loves and desired a painting about that subject.